Know a little girl going through a train phase? 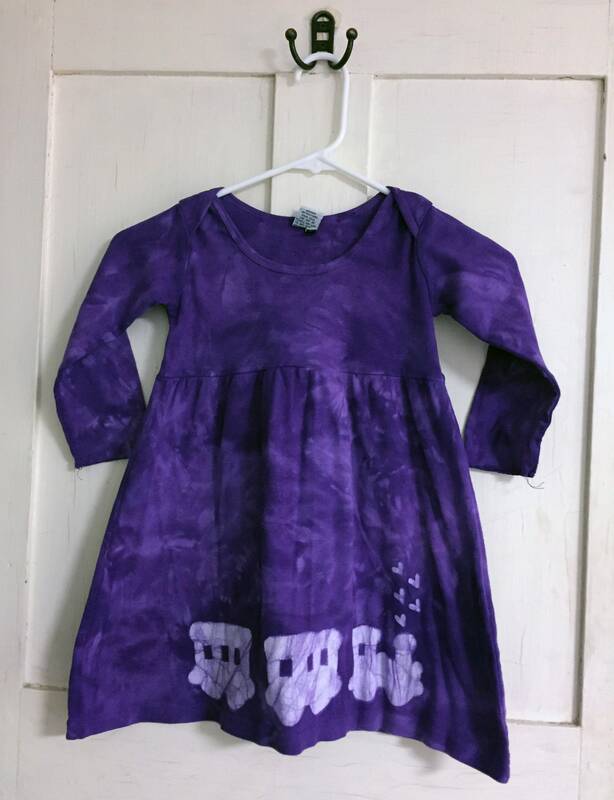 She can wear her favorite vehicle on a fun purple dress! I stenciled a cute train onto the skirt of the dress -- complete with steam hearts! 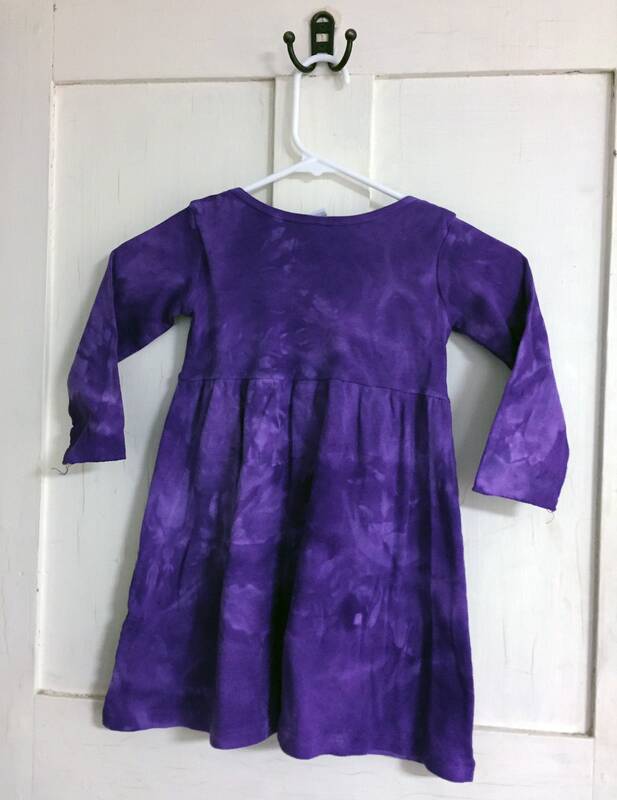 -- and dyed the dress deep grape purple. 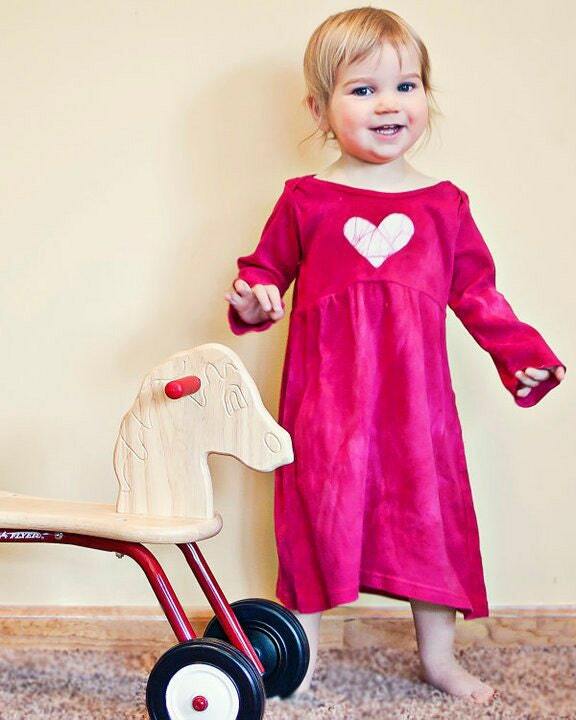 This is a size 4T long-sleeve dress, 100 percent cotton, lap shoulders. 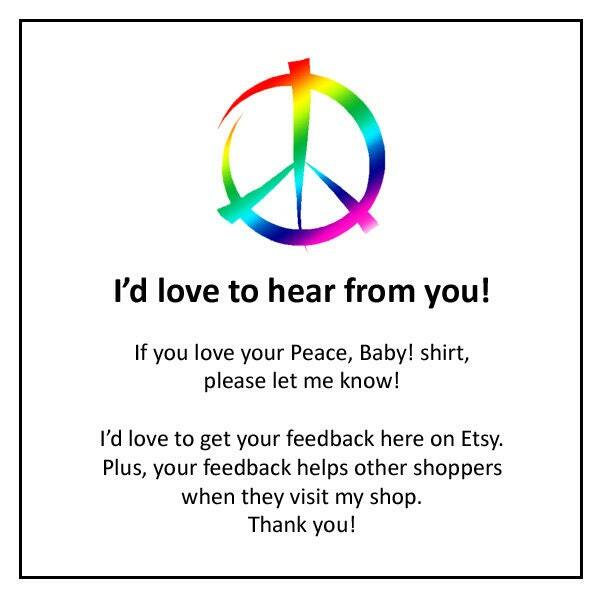 It has been washed several times so the cotton is super soft. These empire waist dresses are adorable with leggings and tights on chilly days!